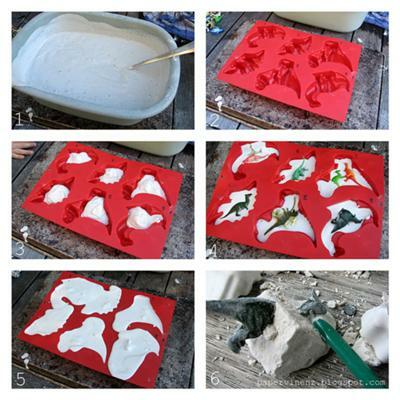 Step by step tutorial for making your own dino fossils - individual size or supersized. Join in and write your own page! It's easy to do. How? Simply click here to return to Submit Your Dinosaur Party Games.